After a slow few months to start off the year, the team conducted to missions on Whitney in two days. The first was near Lone Pine Lake. A hiker with possible altitude sickness required help after becoming nearly unresponsive Friday night, recovering enough to start hiking out the next morning, then falling down a snow slope and sliding into a tree. Although there were no major injuries, it was clear that he needed help to get down. 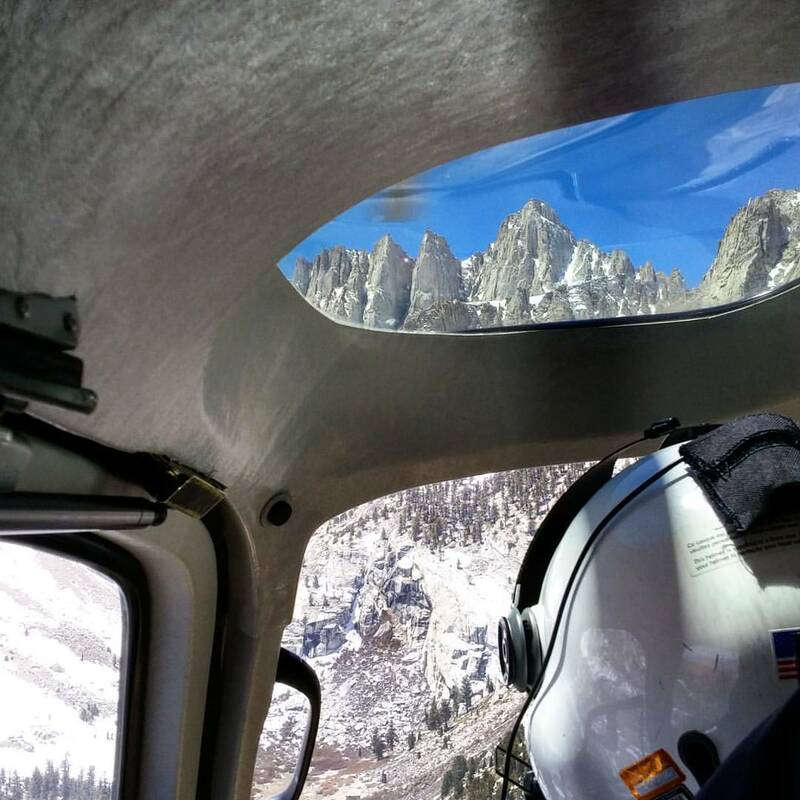 Inland Valley CHP helicopter and crew responded along with 4 Inyo SAR team members. The patient was flown down to Lone Pine. 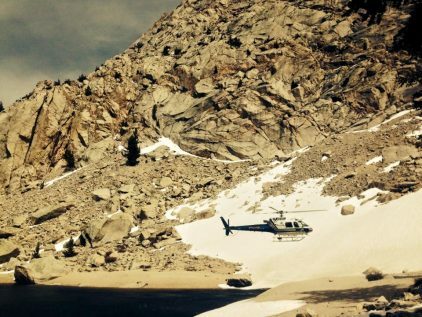 The following day the Inyo Sheriff’s Office received word of a fatality of a base jumper at Lower Boyscout Lake. (Later the internet said the victim had been “speedflying” but all we know for sure is that a parachute and a launch from a cliff were involved.) Inland Valley again responded with one SAR member to perform the recovery. Many, many thanks to Inland Valley CHP for their aid on these missions, and for taking a couple of days before these missions to come train with us! Posted in 2016, Missions Reports.